For over forty-five years Baba Mukasa Dada Ricks has been a driving force in the African Liberation struggle throughout the Pan-African World. From the movement that he first stepped forward to fulfill his historical responsibility at the age of seventeen, brother Mukasa has had a profound impact on the lives and consciousness of literally tens of thousands of African and poor people around the world. Baba Mukasa’s forty-five years of political activity serves as a metaphor for the development of the African liberation movement. Beginning as an organizer with the Student Non-Violent Coordinating Committee (SNCC), he was instrumental in breaking down Jim Crow laws, which were so prevalent throughout the South. In 1962 he was with Dr. Martin Luther King Jr., in Albany, Georgia organizing demonstrations to end racism there. In 1964, along with Fannie Lou Hamer, he helped organized the Mississippi Freedom Democratic Party. In 1966, he was a major organizer of the “Black Power March”, which spanned from Memphis, Tennessee to Jackson, Mississippi. This march started out as the “March Against Fear”, but changed to the “Black Power March” after James Meredith was shot. The slogan “Black Power” is often associated with Brother Mukasa because he was a major force in popularizing it throughout the South, from the urban to rural areas. 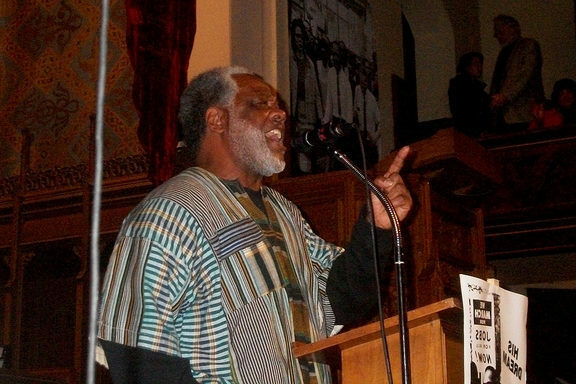 During the course of his work to build Black United Fronts in over 100 cities, brother Mukasa saw that an institutional means was necessary to build the kind of political consciousness required to bring about the liberation of African People. Consequently, he was instrumental in the fight to establish Black Studies programs on campuses across the country and in building several independent schools including the Malcolm X University and the Pan-African Work Center. Joining the Black Panther Party in the late 1960’s and later becoming an organizer and Central Committee member in the All-African People’s Revolutionary Party, Baba Mukasa has consistently been in the vanguard of the African Liberation Movement. Mukasa has spoken to young people in over twenty-two different nations of the world including Iraq, Jordan, Nicaragua, Cuba, Libya, Tanzania, Guinea and Uganda. Brother Mukasa is on a 2015 speaking tour of the United States.